More than ever, consumer concerns surrounding food safety issues require manufacturers to maintain a well-regulated production. At this month’s #HatcheryNetworking event, we’ll learn from a panel of experts and specialists on how to build and maintain a well regulated, food-safe production space that can generate a strong reputation amongst consumers. Join us to hear from manufacturers in the co-packing, CPG and allergen-free space on how an efficient and safe production can be your strongest preventative measure in ensuring potential crises are avoided in order to retain consumer trust. 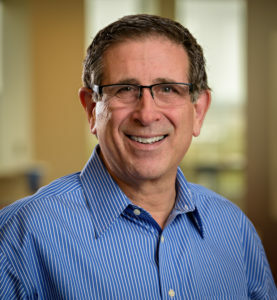 Joel Warady serves as both General Manager, and Chief Sales & Marketing Officer of Enjoy Life Foods, a leading brand in the North American Gluten-Free, Allergy-Friendly CPG category that has experienced 18 consecutive years of growth under his guidance. In the past few years, he has been ranked as one of the Top 50 CMOs on Twitter by Social Media Marketing Magazine, one of the Top 50 Most Influential CMOs on Social Media by Forbes.com and was included in Brand Quarterly magazine’s list of 50 Marketing Thought Leaders Over 50. In 2015, Joel was part of the management team that successfully negotiated the sale of the company to Mondelez Intl. Rather than exit the company, Joel has remained a part of the Mondelez/Enjoy Life family helping to create best practices on how best to merge the culture of an emerging brand while taking advantage of the global expertise that a large multinational brings to the business. In his current role, Mark ensures Quaker food safety programs meet or exceed regulatory requirements and PepsiCo policies. He is also responsible for safety by design in the development of new products. With more than 21 years of experience within PepsiCo, Mark has also served in other roles across food safety as well as leading sanitation programs for the company. Mark holds a Master of Science in Food Safety from Michigan State University. He is a member of the International Association of Food Protection. Jean Kroll is the founder and owner of Sugar & Spice commercial bakery in Evanston, Illinois. 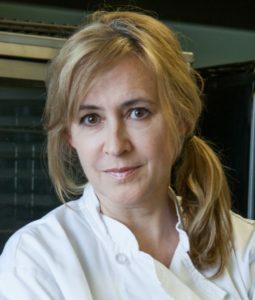 Since 1999, Jean has crafted indulgent, classic sweet treats with thoughtfully sourced ingredients for clients in the foodservice and retail channels. In 2019, the company expanded into a 22,000 square foot facility to allow for expansion of branded products and contract manufacturing As a fourth generation entrepreneur, Jean is passionate about supporting and mentoring aspiring entrepreneurs. She is also focused on inclusion of young adults with disabilities in the workplace. Along with Have Dreams, a local autism resource organization, Jean runs a workplace training program for young adults with autism. She employs one of the program’s graduates in the bakery and provides training opportunities for others to demonstrate that these talented young people can add real economic value to a business. .Jean lives in Evanston where she is active in the community, supporting various organizations.